Tea is the second most popular drink in the world, falling second only to water. 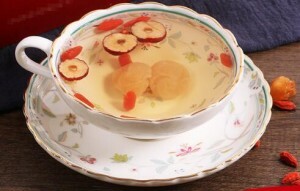 People have been drinking tea for centuries now with green tea being very famous among the youths. Tea has numerous benefits including preventing cancer and helps in sharpening the mind. To the diabetics, tea is particularly important due to its numerous health benefits. The diabetics have a problem with metabolizing sugar in their body. According to Steinbaum S. insulin is generated by the body to decrease sugar levels. 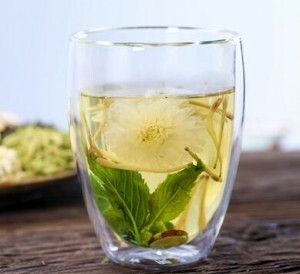 People suffering from type 2 diabetes either don’t generate enough insulin or their cells have developed resistance to the effects of insulin, Green tea, through a complex biochemical reaction helps increase insulin sensitivity. 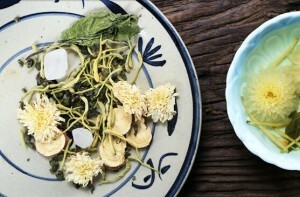 Green tea helps improve the body’s metabolic system. In a research published in 2013 in the Diabetes and Metabolism Journal, the health benefits of tea were highlighted and in particular to diabetes as well as in reducing cases of obese. A study in Japan found that people who drank 6 or more cups of tea in a day were less likely to have type 2 diabetes than those who took less than a cup in a week! Also, tea is linked to helping to reduce the body fat contents. Tea contains polyphenols which act as an antioxidant to the body. People with diabetes are prone to chronic heart diseases. Polyphenols found in tea helps reduce oxidative stress and cause the arteries to widen as a result preventing high blood pressure and bad cholesterol in the body. All these help in reducing the risk of getting a heart disease, with diabetes the most important factor is ensuring that they maintain stable and controlled blood sugar levels. Green tea, in particular, helps control diabetes by regulating the blood glucose levels. According to Steinbanum a health nutritionist, when taking tea for diabetes, green tea is a clear winner due to its high levels of polyphenols compared to that found in black tea. Fruits and vegetables used to make green tea are very rich in polyphenols and hence it’s bright color. The denser the color the more polyphenols found. Green tea is prepared from unfermented leaves is pure and hence contains high levels of polyphenols. On the other hand, black tea is made from purely full fermented leaves which rob it of some essential nutrients. In addition, some black tea may have excess caffeine which isn’t recommended for the diabetics. The health benefits of tea to the diabetics cannot be ignored. However, tea isn’t the only drink rich in polyphenols. According to Steinbaum, the following fruits are also rich in polyphenols” pomegranates, berries, grapes, and apples, you can also get polyphenols from spinach, blood oranges, tomatoes, onions, blackberries, blueberries, raspberries, lemons, limes and kiwis which are all rich in color. Red wine contains resveratrol which is purely polyphenol indicating that red wine is also rich in polyphenols. You can also get polyphenols from cocoa and this makes it necessary for you to once in a while grab a chocolate. For the vegetarians, you can get polyphenols from black beans, beans, pinto beans, walnuts, pistachios and nut butter. The general idea of taking tea as a way to manage your blood sugar levels and control diabetes is one that cannot be ignored. People living with type 2 diabetes always struggle in ensuring that they take a healthy diet. With no doubts eating a meal rich in polyphenols is one thing you shouldn’t miss as a diabetic. You can take tea and especially green tea to get polyphenols, other sources include garlic, brightly colored vegetables, and fruits all which will help maintain controlled blood sugar levels. Most of us take tea as just a normal drink. In fact, tea has earned a nickname, super drink. It is so unfortunate that very few people know all the health benefits associated with drinking tea and especially green tea. The following are the 6 health benefits associated with drinking tea as diabetes. Basically, type 2 diabetes is a condition caused by the cells getting resistant to insulin. With less insulin resistance this would mean that the body will be forced to produce more insulin which can lead to the destruction of insulin-producing cells in the pancreas over time. On the brighter side, studies have shown insulin to increase the sensitivity of insulin. People with type 2 diabetes are at a high risk of contacting high blood pressure. Statistics indicate that 8 in 10 people with type 2 diabetes will be diagnosed with high blood pressure, 3 in 10 people with type 1 diabetes will be diagnosed with high blood pressure. 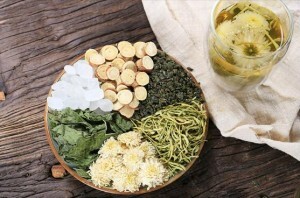 Both black and green tea helps the body maintain healthy blood pressure levels. Heart disease is the major cause of death in over 80% of people living with diabetes. Being diabetic exposes one to heart chronic diseases such as heart attack and atherosclerosis. Taking tea plays a major role in reducing the risk of contracting a heart disease. Diabetes and in particular type 2 diabetes is caused by a number of reasons. Research has shown that taking 3-5 cups of tea in a day reduces the risk of one being diagnosed with type 2 diabetes. As a diabetic, you are at the risk of having pancreatic cancer, liver cancer or even endometrial cancer. Taking tea and especially green tea will reduce the risk of getting any of this cancer. Tea is an antidepressant, it contains amino acids and a compound called theanine which helps control blood pressure levels and reduce stress.